Since January 2012 when Leanne and I decided to come to Dublin, the Old Testament books of Ezra and Nehemiah have been some of my closest companions. For many people these books are unread and under-emphasised. However, they contain two great stories about God bringing his people back from exile in Babylon, restoring national confidence and rebuilding not just the temple and the city walls but Jerusalem as a city that radiated God’s love. Since Jesus’ coming, Jerusalem has been replaced by the church, God’s people, and so the application of these books today is about renewing (or starting) churches that seek the peace and prosperity of the cities they inhabit (see Matthew 5:14-16 and 1 Peter 2:9-12). So not surprisingly, these two books captured my heart and imagination as we came to Dublin with the set purpose of creating a community of Jesus-followers who would bring hope, love, confidence and the message of Jesus to Dublin. In preparation for the launch of our church we have been studied Nehemiah for 6 weeks in April-May, relaying heavily on John White’s brilliant little book: Excellence In Leadership: The Pattern Of Nehemiah. Here are just a few thoughts and a few quotes that I have taken away from my most recent journeying in Nehemiah. Thus prayer, administration, on-site supervision, physical labour – all were part of a whole. Godly character covers the gaps in our giftedness. You may be rather ineloquent, but if you are very godly, there will be a wisdom and insight that is attractive to others. You may lack the temperament and skills to be an effective counselor, but if you are very godly, there will be a sympathy and love that shines through and proves effective. You may be very disorganized and not very dynamic in your personality, but if you are very godly, there will be a humility about you that will command people’s respect. In other words, your godly character fills in the gaps left by a lack of giftedness. In fact, people who are multi-gifted are at a disadvantage in that people usually think they are more spiritually mature than they really are. This is because it is their talent, not their holiness, that is covering all the bases in their ministry. 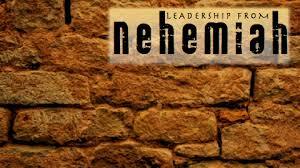 Nehemiah certainly shows godly character and an ability to get on with whatever needs doing. His love for God and the city of Jerusalem shine through in his servanthood, hard work and love for the people. APPLICATION – which area of leadership do you need to be ‘covered’ by godliness? 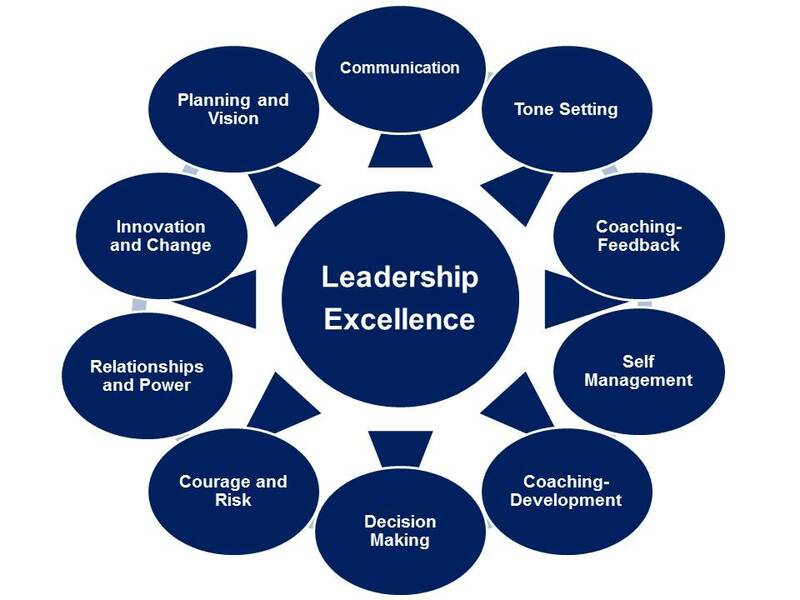 So let’s have a look at the various things that make him an excellent leader. What is the first thing you think of when you think of a great leader? Or, what is the first characteristic that is important for someone considering leadership in the future? In the Bible, all the great leaders have been people of prayer. Think of Abraham in Genesis 18 pleading with God for Sodom and Gomorrah, Jacob in Genesis 32 wrestling with God for a blessing, Moses in Exodus 32-33 pleading with God not to destroy his people, David in the Psalms wrestling with God about sin, sickness, enemies, doubts and lots more. The list continues with Daniel, Hannah, Paul, Epaphras and many others and includes our Lord himself who knew intimate fellowship with his Father in heaven. Jesus often withdrew to places of solitude to pray and escape the crowds (Luke 4:42). Whenever he had big decisions to make, he made time for prayer (Luke 6:12). Before his trial and temptation he asked for his disciples to help him in prayer (Luke 22:39). Even on the cross, his leadership is marked by prayer (Luke 23:46). There are three prerequisites of pleadings: jealousy for God’s reputation, love for one’s fellows and indifference to one’s own life and destiny. If these are true of us, we will plead as Moses and as Nehemiah…. When and where appropriate, there is nothing that delights God more than to takes his promises seriously. The Holy Spirit strengthens our faith under such circumstances….For God’s promise is his extended hand. And when we reach out we are startled to find we have touched life and power. We have grasped the mountain moving hand. From chapter 2 onwards, we see a man of action and much of the narrative is fast-paced and furious. But, before all the action is a man in prayer; listening to God and allowing God to form the desires of his heart. As he brings before God the situation, his passion and courage grow and his fears and doubts are dealt with. As we’ll see (from chapter 2), he starts all his planning on his knees (a point White continues to reinforce); asking God for guidance and inspiration as he considers taking a remnant from the Citadel of Suza and travelling 800 miles to rebuild the walls of Jerusalem and once again establish Jerusalem for the praise of the Lord. Maybe more than anything else, his time in prayer allows him to “count his life worth nothing to him, if only he might finish the task set before him” (Acts 20:24). God moulds him into who he needs to be, in order for him to rebuild the city walls. Please don’t think prayer goes out of the window once he gets going. In addition to this opening prayer, we will hear him speak eight further short arrow prayers to God in times of pressure. Again, this shows his reliance on God for everything. APPLICATION – do you have set periods of time set aside each month for praying? Maybe a morning a week or a day a month? If in chapter 1 we meet Jeremiah in prayer, in chapter 2 we get a glimpse into his brilliant brain as he masterminds one of the greatest tasks of urban renewal in the history of the world. He plans every single detail, from his reassignment under Artaxerxes king of Persia (from his initial role as cupbearer to become the Governor of Jerusalem – see 1:11 and 5:14), to the letters of safe-passage for the journey, to the timber for rebuilding the walls and the house in which he will stay. Once he arrives, his first move is to do a secret, night-time reconnaissance and investigation of the city walls to fully understand the situation and the task ahead. The organisation took place in the presence of God…. [Nehemiah] illustrates a principle in godly planning – the principle of anticipating difficulties and bringing them into God’s presence. Prayer is where planning starts. Some people hold the motto: “let go and let God”; making spontaneity and inspiration spiritual whilst assuming that those who plan ahead are acting out of worldly leadership models. Others are so keen to map out every detail that they never spend time giving their plans to God, allowing God to change their plans and ultimately trusting in God for the success of all they do. Psalm 127 says: “Unless the Lord builds the house, the builders labour in vain.” We must trust in God and rely in his strength but we must also build and plan and work hard (see Paul in Colossians 1:29 and 1 Corinthians 15:10). It does not matter how trivial or how ambitious the projects may be. Facts will be needed, buildings will need to be inspected, problems anticipated, needed resources calculated. To build a tower, you first count the cost. To go to war, you first do intelligence works and find out your chances of winning. As an aside, Nehemiah had obviously already proved himself as someone who was good at planning, had a keen mind and was good with the details. In his role as cupbearer to the King of Persia, Nehemiah was the equivalent to the chief security officer for the most powerful man on the planet (like Obama’s top bodyguard). God has used the years of working in the secular work place, with all the pressures and training that Nehemiah would have lived through, to prepare him for this great task. APPLICATION – do you have an extensive period of time set aside each month (1-2 days) for planning? At the end of chapter 2, after months of prayer, planning and investigation, the time comes for him to mobilise the troops. This is a two step process. Firstly, he casts vision and secondly, he delegates. Nehemiah then manages to mobilise 39 different groups (chapter 3) from all walks of life: priests, levites, temple servants, goldsmiths, merchants, officials, private individuals, masters, servants, men and women and even perfume makers (vs8). They are all given different roles around the circumference of the wall and Nehemiah worked with them. The depressed population of Jerusalem had listened with wonder to the way in which a heathen king had supplied Nehemiah with timber and with letters. They were presented in the flesh with a leader who had trusted God, had brought the timber to Jerusalem and who now stood before them, knowing what the problems were, but still ready to go on with the building. His confidence was infectious. And the people were encouraged..
…the pattern has repeated itself endlessly during the history of God’s people – the fear and fascination of a God-given vision, one man or woman’s willingness to follow that vision, to boldly acknowledge the risks and costs, to share that vision and then challenge God’s people to follow. APPLICATION – Do you need to step back and envision your people? Who else could you involve who is not currently active? Nehemiah shared hardship with the workers. His beard would be clogged with grit, his eyes red with dust while sweat would probably leave streaks down his cheeks. Spirituality is no substitute for sweat. Nehemiah’s organising ability, his coolness under stress and his prayer would have been wasted had he not worked. Prayer may move mountains. But prayer and elbow grease are wonderful allies. The Apostle Paul himself would say “I worked harder than them, yet not I but the grace of God that was in me” (1 Corinthians 15:10). APPLICATION – Are you working efficiently? Are you working hard? Ridicule (2:10/19, 4:1-3) – Discouragement and doubt, so you give up. Physical attack (4:7-12) – Fear to paralyse the workers. Murder plot (6:1-3) – Fear to make you run. Lies (6:5-8) – To provoke an ungodly reaction to discredit and entangle you. False prophet (6:10-13) – Deception to side-track you. Behind each of these acts, there was one source (the devil) and one aim (to stop the work). Sometimes it is subtle, sometimes aggresive. Sometimes he plays on the leader’s weakness and insecurities; sometimes he goes after the people. The New Testament continually exhorts us to be on our guard against the devil’s schemes for our fight is not against flesh and blood (Ephesians 6:10ff, 1 Peter 5:9, James 4:7 and 2 Corinthians 10:3-4). How should we fight spiritual attack? In three ways: (1) prayer, (2) God’s word and (3) common sense. Nehemiah does that on each occasion and ultimately triumphs. It’s a tough school. Thousands of leaders down the ages have taken the course. There are practical classes in opposition, in difficult circumstances, in loneliness, misunderstanding and tribulation. Some students quit because classes are so rough, not realising their value. There are no entrance qualifications. Any Christian may apply for training. And the Principal himself is available for interviews with every prospective student, at any hour of the day. You have only to knock and you will be admitted into his office. APPLICATION – How is the enemy trying to attack you right now? Which of the 6 ways speaks most accurately to your current situation? It goes without saying, from all that we have seen above, that Nehemiah led by example. He was servant-hearted, he was obedient to God’s law, he acted with integrity in every situation (particularly with regards to money) and he was willing to die for the sake of the people and God’s city. It is clear to see Nehemiah as a foreshadow of Jesus – the greatest and mightiest leader of all time who came to serve, not to be served (Mark 10:40-45), was obedient to God in every situation and loved his people so much he ultimately died on a cross. In Nehemiah, we begin to understand more fully all that Jesus did in reclaiming his people in order to be a light to the nations. There has always been a true elite of God’s leaders. They are the meek who inherit the earth (Matthew 5:5). They weep and pray in secret, and defy earth and hell in public. They tremble when faced with danger, but die in their tracks sooner than turn back. They are like a shepherd defending his sheep or a mother protecting her young. They sacrifice without grumbling, give without calculating, suffer without groaning. To those in their charge they say “we live if you do well”. Their price is above rubies. They are the salt of the earth. And Nehemiah was one of them. Nehemiah was human. We need not speculate on his weaknesses for we have our own. Rather, we must be grateful for what we have learned from him. The fact that he was shaped from ordinary clay to become the leader he was should surely encourage us. He has shown us the worthiness of waiting on God in prayer and that all real planning begins in God’s presence. His example has made it clear that true leadership must be consistent with an ongoing servant-hood. We have seen that his concern for God’s priorities and for the people of Jerusalem detemined his leadership style. He taught us the value of keeping ultimate goals always in mind and rebuked us with his attitude to money. We have watched him move from stress to stress and from strength to strength as he walks through the doors of fear to ultimate triumph. And finally we have seen that he continued to run as well in the closing laps of the race as he had in the opening. The same faith and obedience that led him to take huge risks in the presence of King Artaxerxes continued to motivate him toward the close of his life. APPLICATION – Where are you currently shirking the call of sacrifice, servant-hood and integrity in your daily life and ministry to others? **For more information on the value of leadership in Christ City Church please read Stop The Tall Poppy Syndrome on the church blog.